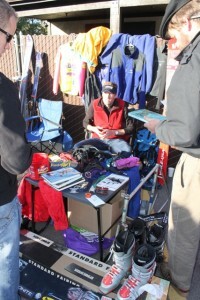 Park City Ski Swap is Ski Goods Central - Ski. Play. Live. I’m on a mission. Baby needs new skis. The real kid, Sage, picked up an awesome pair of K2s from Ski n’ See at the end of last season but her momma is a different story. As an instructor, I’m forced to replace my skis every couple of years to stay current; and I must have at least two pairs to cover variable conditions. That can add up to a small fortune over the years when you consider new skis cost between $600-1200 depending on the model. It pays to comb early season deals during blowouts like the Park City Ski Swap. The most convenient and cheapest solution is a season-long rental offered through several retailers in Park City and the Salt Lake Valley. These programs ask for one nominal annual fee ($80-130) for a skis, boots and poles package. Some places even throw in waxes and tunes. This is great if you’re not concerned about skiing high-performance sticks or you need to outfit three growing kids. Unfortunately, that’s not an option for me. I’ll admit that industry pros have access to wholesale prices on gear but even that gets crazy expensive. Your hunt for ski gear starts at the end of the season. Retail ski shops everywhere have blowout sales to clear their floor and make room for next season’s goods. The choice gear is gone in a flash if you wait too long, so your next step is to scour eBay and Craigslist. If you haven’t found what you’re looking for by October you need to position yourself near a ski hub like Salt Lake and get ready for a smorgasbord of deals. The Black Diamond Parking Lot Swap October 22, 2016, didn’t disappoint. The event is held annually in the climbing company’s parking lot. The place is filled with mountaineering bargains and big mountain gear that sponsored athletes are trying to unload. The asphalt is wall-to-wall cars, people and ‘stuff’. But alas there were no skis my needed length (170-175cm). My friend Nancy, however, picked up a pair of climbing shoes for $10. 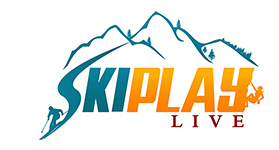 The Snowbasin Ski Swap is up next; October 27-29 in the Legacy Events Center in Farmington. Rowmark Academy stopped having their popular swap a few years back so that basically leaves the mack daddy of all swaps to root for in November – Park City Ski Team’s Annual Ski and Snowboard Swap, Nov 4-6, 2016. It’s been going on for 44 years. Park City’s plethora of ski retail and rental shops all dump what’s left of last year’s wares. The Ski Team also has a rule that all equipment sold will be less than 5 years old. Of course, this will be the place for skis! The best-priced gear is scooped up on Friday night so get to the Basin Rec Center in Kimball Junction early, dine with the family at Red Rock or Maxwell’s, have a few cocktails to take the night chill off while you wait for the doors to open. The Park City Ski Swap is Black Friday for skiers. People from all over the state stand in line for over an hour just to be trampled by the masses when the doors of the Center fly open. 1) Make a list of all the items you would like to find, including the sizes- no time to waste calling home to see if something is going to fit. 2) Set a budget. It’s easy to be overwhelmed by the deals but if you drop $2k in a night on two items or 10 it’s still $2k. 3) Get there early. If you miss Friday’s opening make sure you’re ready to go when the doors open Saturday morning. 4) If you really want a deal, volunteer so you get to see everything that comes in and will have first shot at it. 5) Bring a bag and cash. Get in, get out. The madness is dizzying. 6) Wear comfortable shoes and pee before you go. 7) Bring hand sanitizer for after. You’re touching a lot of items other people have also fondled. 8) Unlike regular swap meets, there’s no haggling here. The only drop in price will happen on the last day if things haven’t sold. Saturday’s patronage is a ton more mellow and the price to enter a bit more reasonable ($10 vs. $5). By Sunday, the good stuff has been picked off and what’s left is marked down. BTW, 30 percent of sales go to the Park City Ski Team so your check can essentially act as a donation. Most skis sell for around $100; nice winter clothing about $50. Not bad when you consider that brand new these items are eight times that! All of the goods that remain unsold wind up on Craigslist or eBay. Miss The Park City Ski Swap? You have two more shots at a great deal- St. Lawrence Thrift Store Ski Swap, November 11-12, and ACE (Alta Community Enrichment) Gear Swap, Dec. 2-3, at Our Lady of the Snows Center in Alta. Thanks for catching! The link disappeared when I updated and I didn’t notice. The swap starts next Friday. Nov. 6.